In the midst of his now decade-long steady climb to international R&B notoriety and prominence, he’s been the singers’ singer a consummate ladies’ man, the fellas’ fella an the “go to” modern-day R&B /soul crooner with sensibilities simultaneously grounded in the past and the present. RAHEEM DEVAUGHN has been many things to contemporary music culture and his ever-expanding core audience, for which he’s amassed a combination of prestigious award honors/nominations and multiple chart-topping releases. “There’s a lot of talk about ‘King of R&B’ and ‘King of Soul,” but I’ve got enough music for the next ten years,” says the three-time Grammy-nominated singer/songwriter. “I literally have enough music for the decade to release. If I stopped recording now and said I wouldn’t record for five years, I’ve got enough music for ten. So I can’t wait, because I’m just warming up.” Hence, on this soul-steeped occasion of his sixth highly-anticipated full-length release, we’ll officially proclaim it as the Decade of a Love King. We got the opportunity to the speak to with the music artist and talk about his new album, his evolution as an artist, and mental health. Listen below. Interviewed by Tianna Maxon. Becoming a business owner is not as simple as it sounds. Just ask any successful business person and you’ll see that it takes a whole lot of grit, patience, business sense and even a good dose of luck to turn entrepreneurship dreams into reality. And through it all, you have to battle that pesky little question constantly niggling the back of your mind: Am I really cut out for this? The good news is, feeling scared or apprehensive when you first set out to open up a business is totally normal. You could be a highly talented digital specialist, cook, web designer, or (fill in the blank), but running a business centered around your specialty is another beast in itself because it means you’ll be doing less of the labor you’ve worked so hard to become skilled at and more of the managing and oversight, which may be qualifications you don’t necessarily have. If you’re a would-be or going-to-be business owner who’s questioning your ability to domineer the reigns of a business, you’re not alone—lots of first timers experience the jitters when it comes time to put their money and talents where their mouth is. But several thousand others with no business experience whatsoever take the leap into entrepreneurship each year—and go on to make a raving success of themselves. Take celebrities for example, artists who spend years, even decades perfecting their artistic talents for a living—people who you would expect to be least likely to know the first thing about running a business operation. Surprisingly, many of them have ventured beyond the confines and comfort of those talents to dapple in entrepreneurship—and succeeded. So if you’re still not sure you’d be a great businessperson per say, because you’ve never run a business before or don’t know the first thing about what a P&L is (or even what it stands for! ), shake off your worries and get ready to draw inspiration from our list of successful entrepreneur celebrities. If they can figure it out, surely you can too! These twins took the 90s by storm with their adorable appearances in the then-hit TV show, Full House. But today, they’re still not a forgotten sensation, having left their imprint on their own lines of fashion and even makeup brands since 2006, when most people their age were still trying to figure out college. One of the most prominent names in rap and hip-hop, Jay-Z, also known as Shawn Carter, is an entrepreneur too. As a co-founder of Roc-A-Fella empire, the artist’s company has its hands in everything from movies to clothing. Additionally, he owns a music streaming service called Tidal. If you know Victoria Beckham, it’s probably because you were around when she was rocking the stage as a Spice Girl, a major British singing group. Known for her talent and beauty, Victoria branched out into entrepreneurship in 2009, when she launched her own boutique. Today, her brand is known throughout the U.K. and across the globe. He may be known for his prowess on the basketball court, but player Lebron James has taken his passion for sports to another level with his side hustle as an entrepreneur who’s launched his very own sports marketing business. James just proves that if you love doing something, stick to it…and then find unique, out-of-the-box ways to make money off it. This beauty is most known for her appearance in movies like Fantastic Four, but it didn’t take long for her to sprout her entrepreneurial wings and take the world by storm through her all-natural product line, Honest Company, specifically designed for babies. This brand is a raging success because it boasts using only the most natural ingredients in its line of baby products. When you think of someone who’s branched out beyond just their artistic talents and done it all, Jessica Simpson fits the bill. Actress, singer and reality TV star are just a few of the titles this starlet has held. But beyond that, she’s also started her own shoe line, not to mention her own clothing and cosmetics lines, diving head first into entrepreneurship. This popular blue-eyed, blonde haired Friends actor is more than just a sought-after onscreen beauty known for her amazing acting. She’s also co-owner of Living Proof, a hair care company, proving once and for all that you don’t have to be master of just one trade to find success in others. America’s heartthrob from his early appearances on the smash-hit series ER, Clooney is just as talented offscreen as he is on. Aside from stealing the hearts of women across America, the actor once owned his own tequila company and sold it in 2017 for just around $1 billion, proving that even those not skilled in the trade of business can make lucrative business moves. As you kick start your own entrepreneurship dreams and look to fuel your confidence at times when every hurdle seems insurmountable, whip out this list of your favorite celebrities. Yes, they may have the celebrity status and bundles of money that you don’t, but some of the world’s most famous entrepreneurs were dirt poor unknowns and still went on to succeed (see our article “How 9 all-time famous entrepreneurs went from rags to riches)—so don’t let that deter you. Instead, focus on the fact that these celebrities, like you, didn’t necessarily come from a business background, but they still succeeded in the name of business—and you can too. There is no stopping Bey and Jay nowadays! The On The Run II Tour has officially surpassed $150 million in revenue, and there is still almost half of the tour to go. If they earn another $100 million, which looks easily feasible, the hip-hop power couple will have the highest-grossing tour worldwide so far this year. In addition to that, Beyoncé and Jay-Z have pledged $1.1 million in total in scholarships to split among 11 senior high school students, each picked from a city from the OTR tour. This is not the first donation these two have given, and certainly not even the first scholarship donation. After her historic Coachella performance in April, Beyoncé donated $25,000 each to 4 students at HBCUs, totalling over $100k in scholarship money. The Carters have not only solidified a place in the history books for themselves and their family as one of the richest and most powerful families ever, but they continue to provide others with the tools and resources they need to succeed as well. 1. Issa Rae – By now, Issa Rae’s name has become synonymous with self-made; the HBO star built her rapport on YouTube and now has every major studio knocking on her door. The second season of her hit show, Insecure, premiered this summer and has already been renewed for a third season. She’s poised to star in and produce some major productions in 2018 and we can’t wait to see what comes next for her. 2. SZA – Named the best album of 2017 by Time, SZA’s debut album, Ctrl, gave us the platinum-selling hits “The Weekend” and “Love Galore.” She has a tour with Bryson Tiller under her belt this year and has five (yes five!) nominations for the 2018 Grammy Awards. Looks like this girl is unstoppable! 3. Gal Gadot – Gal Gadot had a unique challenge set out before her when she starred as Wonder Woman. In movie category dominated by alpha-male characters (how many superheroes do we see that are actually women? ), she had to not only deliver a performance strong enough to carry a movie with a $100+ million production budget, but she was automatically expected to be a role model for young women. Wonder Woman became the highest-rated superhero movie on Rotten Tomatoes and was an international commercial success. Well done, Gal. 4. Rihanna – We all know Rihanna delivers on everything she ventures into but her Fenty Beauty line, which launched this year, was groundbreaking on so many levels. After battling body shamers and naysayers who said that diverse foundation colors don’t sell, she released a 40-shade makeup line at Sephora and sold out almost immediately. It’s estimated that RiRi made $72 million from Fenty Beauty in one month. If that isn’t inspiring, I don’t know what is. Do you ever sit and wonder what exactly all these celebrities do with the bundles of cash they collect? Other than buying themselves fancy houses, cars, jewelry, and clothes, what do they use it for? One smart thing some celebrities do with their money at some point in time, is start a charity or foundation to provide for those in need. Here is a list of some celebrities who give back. – Russell Simmons. His foundation, Rush Philanthropic Arts Foundation, is focused toward young people in America who face disadvantages. It gives them the opportunity to practice art. – Denzel Washington. He has donated $1 million to Wiley College. – Earvin ‘Magic’ Johnson. He has a scholarship program called, Taylor Michaels Scholarship Program, which allows students who are considered to be a minority, the opportunity to gain financial support, a laptop, a yearly leadership conference and mentorship and internship opportunities. – Usher. His New Look Foundation was created to allow inner-city children to be able to achieve their dreams. – Sheryl Lee Ralph. She created the Diva Foundation which helps to raise awareness and fund HIV/AIDS prevention. – Jennifer Hudson. She has teamed up with Weight Watchers’ Lose for Good Campaign to assist in the fight against world hunger. – Kerry Washington. She has joined the Uptown Girls Benefit to uplift young women in Bronx, New York, to fight against the afflicting statistics they face. – Robyn ‘Rihanna’ Fenty. She created a foundation in the name of her grandparents’. The Clara Lionel Foundation is geared towards children in the Caribbean who would like to attend university in the states but cannot afford it. There are many other celebrities who do the best they can to support and help the less fortunate in the world. Many times we do not notice the good these celebrities do, because the media tends to focus on the more awful things. How about we turn that around? Let’s focus on the positive instead of the negative. 1. Dwayne “The Rock Johnson”, Wrestler , Actor, and model is actually Canadian, and his mother is Samoan with looks like his who cares? The Rock was named Sexiest Man Alive back in 2016 for a reason. He surely still add sugar to my coffee. Not the beautiful hazel eye bandit that everyone loves! He stole our hearts with Empire, not he’s making us guess what he is? Terrence’s parents are actually both Bi- racial. Terrance parents both have blue eyes. Beautiful genes flowed to such a handsome Man. The former Diplomat member who America loves, is bound by another race. Jim’s mother is actually Aruban and his later father Puerto Rican. Can you say double the trouble! Nothing like a Latin lover. 4.Boris Kodjoe, this tall glass of water is actually German and Austrian. Speaking German is a plus! Big ups for Nicole Ari Parker snatching him up in time. Happy 11th Anniversary to the beautiful couple! 5.Swizz Beatz, The Rapper, Producer, and lyrical genius. Is ravishing with his exquisite taste! Go cutie, ” you hit the hammer on the head” with this one. Turns out he is actually Puerto Rican. 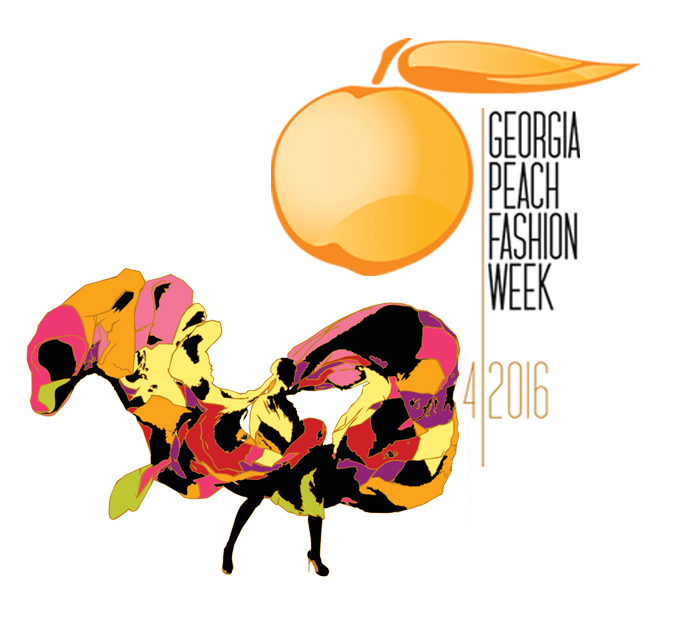 April 5,2015 – ATLANTA, GA – The 2nd annual Georgia Peach Fashion Week: Building Fashion Forward, the most anticipated and elite fashion event in the Southeast, is less than 3 days away with a host of media, celebrities, buyers, and fashionistas set to attend. Georgia Peach Fashion Week will be held at the esteemed Infinite Energy Center at the Forum (Gwinnett Center), 6400 Sugarloaf Pkwy. Duluth, GA 30096 from April 6th-9th. See below for full updated schedule. April 5th: Opening Reception at Boogalou Restaurant & Lounge, 239 Ponce de Leon Ave., Atlanta, GA 30308 from 7pm-10pm. April 6th: Youth Day Community Event benefiting Twin of a Kind Foundation from 10am-5pmsponsored by Walmart Store #1314 and SkinnyPop Popcorn featuring a Pretty Girl Retreat, Man Cave, and Mommy/Daddy & Me Walk-off hosted by Tony “T-Rep” Button. Performances by Dai Time, Prissy Hoody, and Bamzy Baby with guest speakers Robin Dyke (Bravo’s Mother Funders), Mrs. Georgia – Nova Kopp, Twany Harris, Officer D. Phillips of Lawrenceville Police Department, and Kimmani Kouture. Red carpet hosted by Olivia Lynch, Ms. Georgia, and Joe Dyke and media partner Wild Child Magazine. Designers include Kimanni Kouture, Neriah Hairen Collection, B&B Threads, Hill Knight, and Geek Junky. Vendors include Chick-fil-A Sugarloaf Corporate Center, Atlanta Technical Institute, Candice Hines Scarves, Wade Walker Park YMCA Stone Mountain, A Lady Name Pearl, LLC, HOTT Theatre for Children, Kimanni Kouture, Jump with Jahkiyla Foundation, B&B Threads, SkinnyPop Popcorn, Twin of a Kind Foundation, SugarSpice, Allstate Insurance: Quincy Hudson in Flowery Branch, GA, Je’Quita Johnson the author, and more. April 7th: La’Curve Couture, fashion show for the curvy women, presented by Nelson PR Productions from 6pm-11pm hosted by actor, dancer, and choreographer Darrin Henson (Soul Food, Stomp the Yard) and Tunisha Brown (EIC of Impact Magazine, Cocktails & Conversations). Performances by Stan Jay and R&B sensation Mardy Price. Designers include So Anxious Clothing, Rieces Pieces, Kami Shade, and Drip Swimwear. Vendors include Loudé Cosmetics, WEN by Chaz Dean, Natural Goddess/Natural Adonis, Twin of a Kind, KGX, SkinnyPop, and more. April 8th: Runway fashion show benefitting the Alma G. Davis Foundation from 6pm-11pmhosted by Ramona Rizzo (VH1’s Mob Wives) and Patricia Thompson (WE Tv’s Cutting it in the ATL) with guest speaker socialite and philanthropist Bo Talley and performances by Ms. Proper and Robin S. Designers include Yoro Creations, NP the Clothing, G3 Concepts, Karlie Redd, Perfect Panache, Dana Lynn Couture, and Alexander Pezo. Vendors include Lash Brat, Belles & Beaux, WEN by Chaz Dean, Natural Goddess/Natural Adonis, KGX, SkinnyPop, Twin of a Kind, Karlie Redd, and more. April 9th: Closing night runway fashion show event from 6pm-11pm hosted by Towanda Braxton (Braxton Family Values) with special guest models Evelyn “Ms. E” Braxton (Braxton Family Values, Tamar & Vince) and Bo Talley. Performances by Kalliope Ray and Grammy-nominated artist Anthony David. Designers include Allure Kids Kouture, Featured RAW Designers, and Norahs Khan Designs. Vendors include Karins Uniq Kreations & Gifts, Dejah Group, LLC, Belles & Beaux, Karlie Redd, WEN by Chaz Dean, Natural Goddess/Natural Adonis, KGX, SkinnyPop, Twin of a Kind, and more. GPFW would like to give a special thanks to their sponsors; WEN Hair & Body Care by Chaz Dean, Natural Hair Goddess/ Natural Adonis, Walmart, Selfie Cookies, SkinnyPop Popcorn, BAi, Makeup by Neece, Crown Brush, Aesthetica, Paul Mitchell the school Atlanta, and Dr. Kelvin Hamner M.D. of Phoenix Medial Office at College Park. 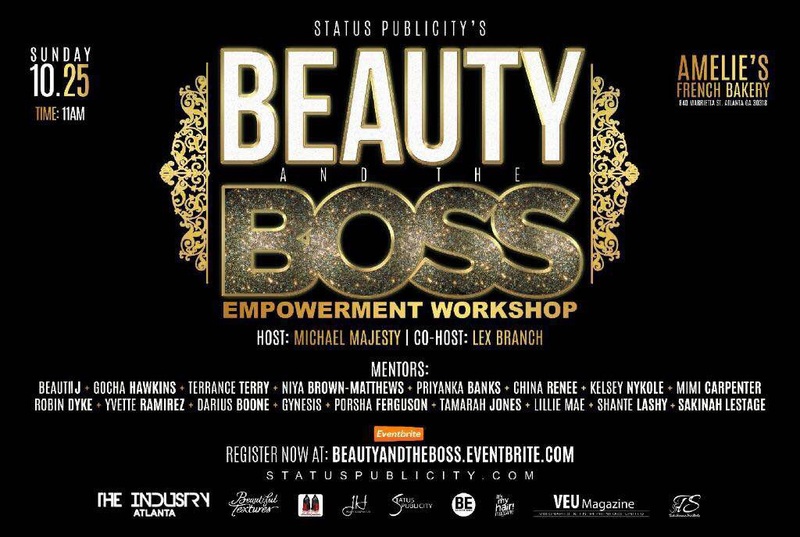 On Sunday October 25th, Michael Majesty hosted his first Beauty and the Boss Empowerment Workshop. 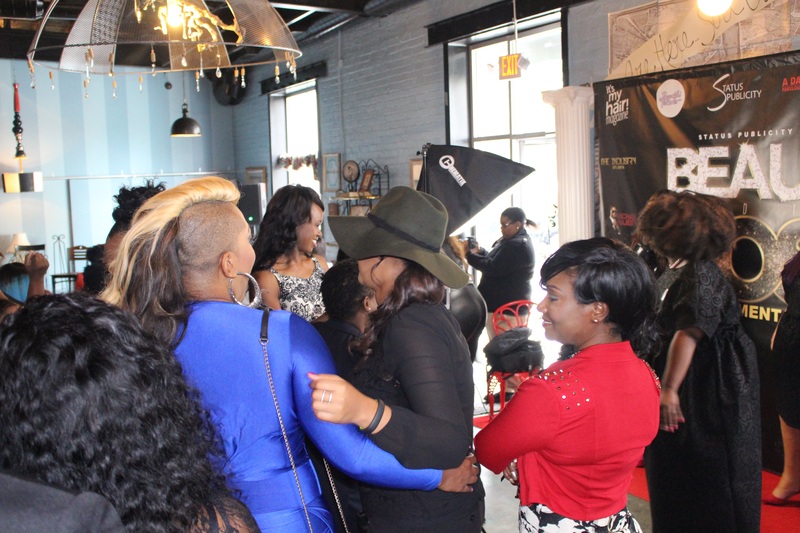 This event took place in the elegant Amelie’s French Bakery located in Atlanta, Ga. Beauty and the Boss was an excellent networking workshop for both aspiring and current entrepreneurs alike to come and get valuable knowledge from other business owners that are seasoned in their industry. This event was co-hosted by Lex Branch, and featured an all-star panel of men and women including: Beautii J from WE TV’s own “Cutting It In The Atl”, Gocha Hawkins, celebrity nail stylist Terrance Terry, 2x breast cancer survivor Niya Brown Matthews, Priyanka Banks from VH1’s own “Sorority Sisters”, Youtube blogger China Renee, R & B singer and song writer Kelsey Nykole, Mimi Carpenter, Robin Dyke of Bravo’s own “Mother Funders”, Yvette Ramirez, traveling hair stylist Gynesis Lo, Porsha Ferguson, Tamarah Jones, Shante Lashy, and dancer/ choreography Sakinah Lestage. 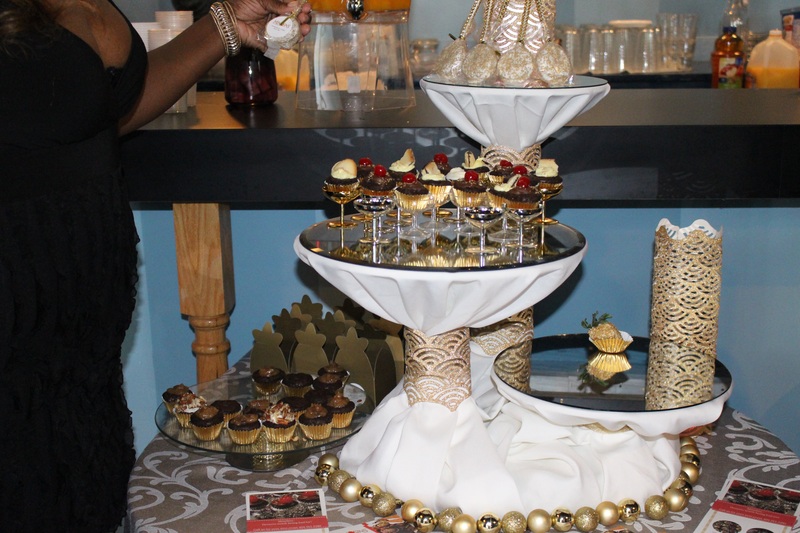 Throughout this event guest were treated to brunch featuring a delicious dessert bar by Atlanta business owner Minisins, mimosas, and recieved the ultimate red carpet treatment. Topics of discussion included branding, marketing, business start-up, letting go of fear, getting your foot in the door in your field of business, and much more. Branding and Marketing specialist Mimi Carpenter dropped some wonderful knowledge on having sustainability in your business. “Keeping yourself professional, keeping yourself authentic, and keeping yourself original is what will sustain you in this business” she said. The audience was also also allowed to ask the panel questions as well, and left with some very valuable knowledge on business and expanding their brand. 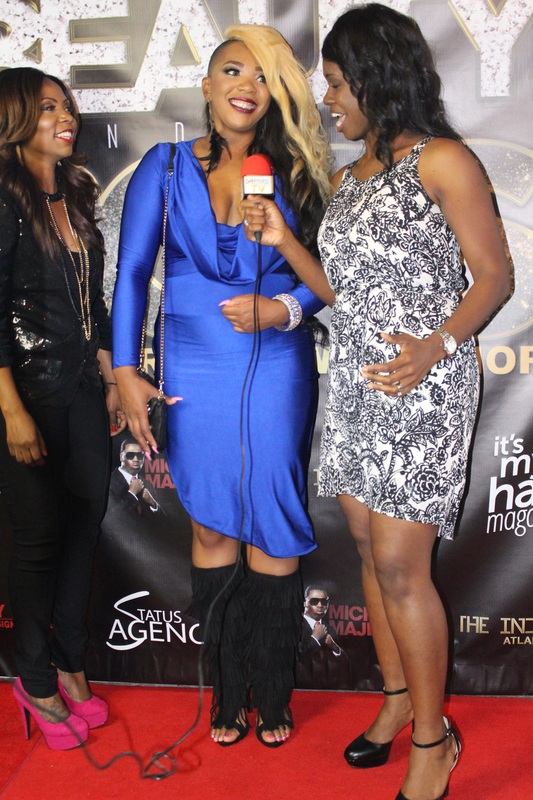 Overall The Beauty and the Boss event was a great success. Part 2 is scheduled to take place early 2016. Stay tuned!